React Native has been around for some time now. I put it to use professionally when Android support was released (approximately one year after iOS). I decided to invest time in it for cross-platform development. When I found out about React Native I was already an iOS developer for 6 years and more than that a Mac OS X developer. I have developed four medium-sized (10.000–20.000 of lines of code excluding dependencies) projects on the App Store and Play Store for my clients. I also oversaw and contributed in a greater project with more than 50.000 lines of code written in React Native (apart from the native code) that is now being deployed in production and runs smoothly. I have gathered enough experience to find out where React (and React Native) shines, and where it isn’t — and how to scale it. Note: I know a few of you reading this will point me towards Flutter. Since it’s maturity is nowhere near its competitors I haven’t been able to look at it thoroughly yet. At the time of this writing, the current stable version of React Native is 0.57 with 0.58RC around the corner. The most advertised feature of React Native is that it is cross-platform, but this is not the reason it caught my eye — not by a longshot. The most important feature of React Native is that it uses React and that way it supports a common declarative layout. Cross-platform support comes second. As an iOS developer, I have struggled with a less-than intuitive way of designing user interfaces; The Auto Layout system. If you have a system that is highly dynamic, and elements on the screen depend on each other (like drawers and animations) then Apple’s Autolayout is the best way of managing stuff on the screen. However, for most Android and iOS applications, this is not the case. Most Android and iOS apps are using the standard elements we are used to seeing: Text, Buttons, Lists, Generic Views, and Images laid out in a manner that most resembles the Web. There are more interface libraries out there — those are just a few of the most widely known. One thing they have in common is that they all use the declarative user interface approach. Declarative user interfaces for Mobile Development were created to cope with problems that traditional layout systems have. You declare your intentions and the system produces a result based on them. The above code renders a Component with just two text components inside. notice the this.props.sampleText . What will happen if this variable is too long (like – 10000 characters long)? The result will be that the component will resize to fit the entire text. If the text reaches the end of the allowed space (the screen, let’s say), then the view will be clipped and the user will not be able to see the entire text. You need a scroll view for that. The only thing that changed is the addition of the <ScrollView> element. This would require MUCH more work on iOS. Collaboration — Git Friendliness. Every declarative UI I have seen fares better at that. On iOS and Android, if you have big monolithic UIs, you are doing something wrong. However, big XML files are most of the time unavoidable (note for iOS: XIBs are actually XML files). Changes in them mean nothing to the code reviewer (or you) — pull requests are next to impossible if you don’t agree in prior which version (your changes or the other developer’s) to keep in its entirety. With React and other declarative UI libraries those problems are minimized to a large extent since the layout is actual code — code that you can update, delete, merge, diff and do just about everything you normally do to any other piece of your software. You will probably need to be a mobile developer to grasp the concepts of performance and manage efficient memory and processor use. The concept that React Native can be used by Web Developers without knowing a thing about Native only applies for small projects. Once the application starts to grow and the Redux store’s calculations start taking a toll at the performance of your application you will need knowledge of how the Native side works to understand why this happens. You will also need to realize that re-renders caused by your Redux Store in React Native are not quite the same as the re-renders that happen inside a DOM. This applies especially to components coming from the Native side of your app. On the performance department, it seems that React Native is one of the better cross-platform solutions out there. However, there are still issues with the performance React Native in certain key areas. One such example is large datasets (and lists). In the case of large lists and grid views, Android and iOS offer an excellent and insanely performant solution – recycling views. Imagine that when using a large list view (iOS / Android), only the cells that are being displayed at any given time are rendered. Other cells are being marked as reusable so that they can be reused when a new cell is about to be displayed. When changing the dataset, the OS will only need to update the displayed cells. React Native offers VirtualizedList and its derivatives (FlatList and SectionList) for large datasets. However, even this leaves a lot to be desired. There are performance overheads, especially when rendering complex components inside SectionList and try to update a large dataset of 100+ objects. The update mechanism brings a low or mid-end mobile device to a crawl. To cope with issues such as this, I have switched from Redux to MobX, which offers more predictable updates for my components. Moreover, in the case of large lists, MobX can update specific cells without re-rendering the entire list. Usually this is achievable with Redux too, but you need to override componentShouldUpdate()and write some more boilerplate to avoid unnecessary re-renders. Your reducer would also still do some unnecessary work while copying the rest of the variables to your new state. Bottom line: Be careful. The fact that you are using React Native means that squeezing the best possible behavior from your app demands being familiar with both React’s best practices and the Native ones. Understanding the JS runtime and how it affects you is important. Debugging in React Native is possible through a bridge which sends debugging information to Chrome. That means that the process that runs your actual code in the device is not the same as the one you debug your code on. Runtime differences often result in bugs only reproducible on production. Even worse is that there are cases where some things become undebuggable. For example, the best solution for a mobile database out there when it comes to React Native is Realm. However, when going into debug mode, this happens: https://github.com/realm/realm-js/issues/491 . The guys at Realm have already explained why this is happening – but the bottom line is that the debugging architecture of React Native must be improved if we want to have a more stable debugging solution. Good news is that I have been using Haul as my bundler which allowed me to debug directly from my iOS device without going through Chrome Dev Tools (unfortunately, you need a Mac, an iOS Simulator, and Safari for that). In-App Navigation Is Awesome with React Native. Have you ever developed a mobile application with authentication? What happens if the user receives a Push Notification and has to first pass through the Login screen and only after login he will be able to see the push notification content screen? Or, what if you are currently deeply nested inside your application and want to jump into an entirely different area in another app section as a response to a user action? Problems such as those are solvable in Native with a bit of effort. With React Navigation they are not even a problem. Deep linking with associated routes and navigation jumps feel natural and fluid. There are other navigation libraries as well, but React Navigation is being considered as the de facto standard. You should give it a try. This is the one thing that React Native does way better than iOS and Android hands down. React Native is not a silver bullet. Applications with a Web-like UI. Cross Platform apps that may or may not need a fast Time To Market. Media Driven Applications without the need for a layout (example: simple/small games, animations, video processing), or screen-to-screen transitions. React Native’s internals are currently undergoing a major refactor so that RN can do more things synchronously, in parallel and so that it can share common code with Native. https://facebook.github.io/react-native/blog/ – until this is done, you ought to do some research before you decide whether to use it. React Native is an insanely well-thought and good platform to develop on. It opens the world of NodeJS to your app, and makes you program in one of the best layout systems out there. It also gives you a very good bridge with the Native side so that you can get the best of both worlds. It also falls into another strange category, however — the one where you will either need one team to develop your application or three! At some point, you will need some iOS and Android developers to construct components that React Native does not have by default. Once your team starts to grow you will have to decide whether you will make your application 100% Native or not. Therefore whether you choose React Native for your next project becomes a question of how much native code (Java / Kotlin / Swift / ObjC) you will need to have. My personal advice: If you realize that you need 3 teams to develop three aspects of one application (an iOS team, an Android team, and a React team) then you should probably go for Native iOS and Android all the way and skip React Native. You will save time and money by maintaining only two codebases instead of developing three. 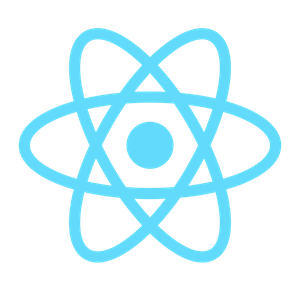 However, if you have a small team of proficient developers and want to build a content application or something similar, then React Native is an excellent choice.